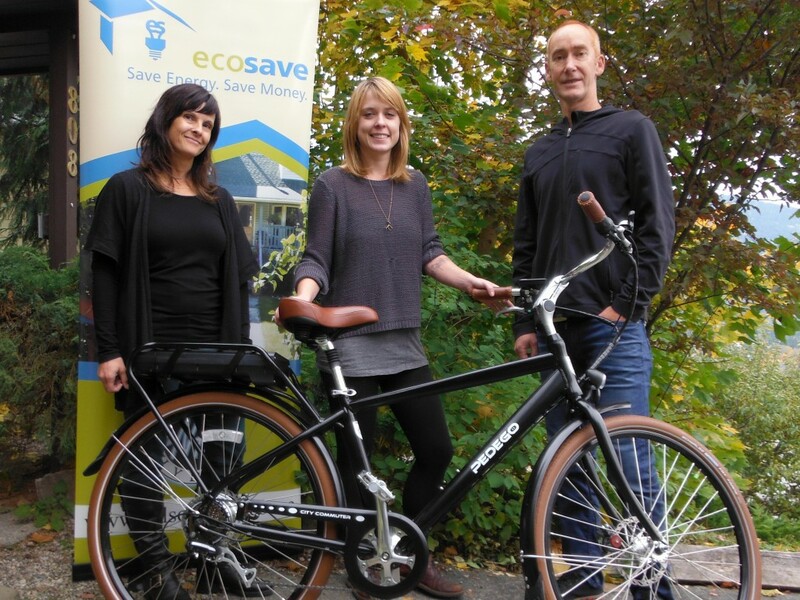 Nelson, BC, resident Drea Pittam has won a free Pedego electric bike. 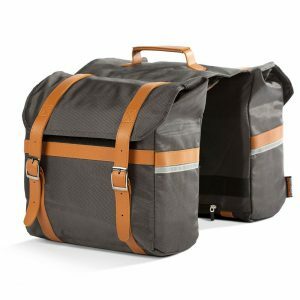 Pedego Canada Gives Away a Free Bike to One Lucky Winner! We recently gave away a brand new 48V Pedego City Commuter electric bike! Congratulations to Drea Pittam of Nelson, British Columbia. Drea was one of the attendees at the Nelson Green Home and Energy Show held at the Prestige Lakeside Resort on October 15. She entered her name among hundreds of others and sure enough she won this sweet door prize! Thanks to EcoSave and the other show sponsors for making this happen! It was an excellent show with a wide range of exhibitors helping people to green up their lives. And as we all know, the best way to do that is to get our of your cars and hop on a bicycle! Not only will it save on the use of fossil fuels, it’s also way more fun than being stuck behind the wheel of a vehicle in traffic! It turns out the “Queen City” of Nelson is the perfect place for an electric bike because the community is built on the side of a mountain so no matter where you go you’ll be riding up a hill. It’s also great because there are so many dedicated bike lanes in the city – whether you want to ride the rail trails above the city and see the incredible views down the West Arm of Kootenay Lake or you’d rather be right beside the water at Lakeside Park, there are trails to suit every preference. 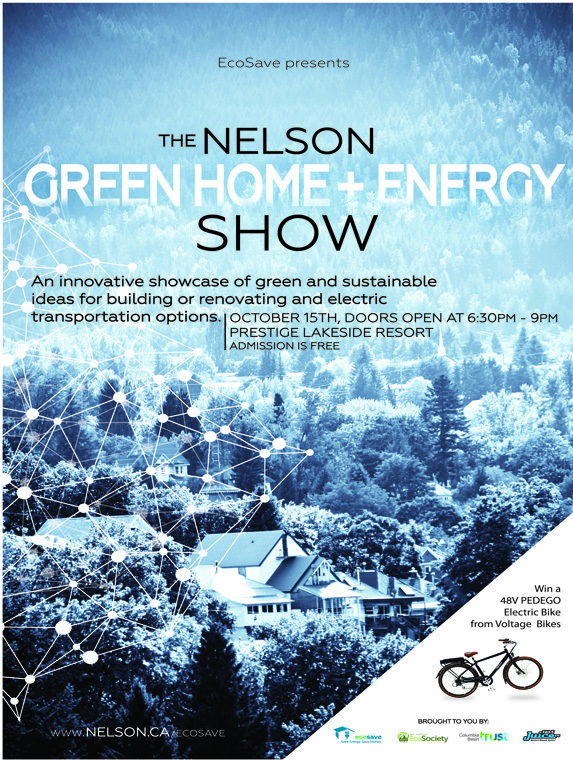 The Nelson Green Home and Energy Show was the perfect venue in which to showcase electric bikes and, naturally, Drea was really excited about winning a Pedego Electric Bike. We have to say we were also really excited to give one away. 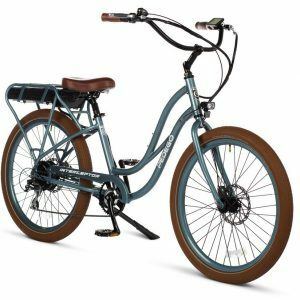 We really do hope Drea enjoys her Pedego City Commuter electric bike and if you’d like to find out more about that particular model or any of the other Pedego electric bikes that are available drop Mike a line at 250-509-1686 or email info@pedegocanada.com.